Malika Baruah, a yoga practitioner, has worked in the fashion and retail business for nearly 21 years. She had started her career with Garden Vareli, a company that has been dedicated for more than 80 years, to the design and creation of high-quality textile. Since then Malika has had a remarkably diversified experience, from learning pattern-making in Paris under Pierre Cardin, to heading the creative departments in Levi’s, Indus League, and Globus. She fell in love with yoga in 2001 and has been practicing it ever since. She was dissatisfied with one aspect though: the clothing women yoga practitioners wear: a hotchpotch of tights, sweatpants, sportswear, t-shirts, and tops. The aesthetic in her never came to terms with this. A physical, mental, and spiritual discipline like yoga deserved much better, she felt. “I wanted to create the world’s best yoga brand that was true to yoga; and so Proyog was born. Carol Felton for YOGI TIMES: You were a successful head of product design at Levis, what made you decide to co-found a new company? Malika Baruah: The heritage of a company like Levi’s can teach you a lot. I want to create a heritage in a space that I have a strong commitment towards. When I was in design school, yoga was a part of the curriculum. Over the years, my love for yoga has grown and it's discipline, I feel deeply connected to; to create a brand that one believes in is an incredibly fulfilling experience. For me, it is jarring to see a discipline, like yoga, being practiced in plastic. It just does not resonate with the need of yoga, which is all about breathable clothes that allow the body to move and are gentle on the skin. That is “the raison d’etre” of Proyog, not to just be another yoga wear brand, but to really push the boundaries of technology and innovation, while staying true to the essence of a yoga practice. Before starting Proyog, I was heading the design team of Levi’s India. 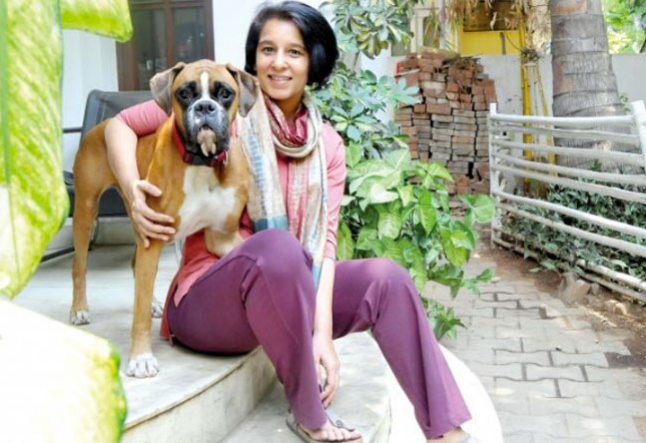 One of the other co-founders, Priyanktha Iyengar, was heading design for women’s wear there. The two of us designed and launched India’s first yoga wear brand 10 years back. The other two partners, Sanjay Nayak and Dave Banerjee, are both from the marketing industry. Before starting Proyog Sanjay was heading McCann World Group in India, Dave has been an entrepreneur for the past 15 years. CF: Where did the inspiration for Proyog come from? Malika Baruah: We realized that yoga wear, as a category, was just sportswear in disguise. It had no clear definition of its own. Synthetic garments are not naturally breatheable. They are not gentle on the skin and create odor-causing bacteria. Harmful chemicals are used on these fabrics to make them perform. We interviewed many yogis across the world and 98% said that natural materials were an obvious choice for yoga. However, we realized most of them still did yoga in synthetic materials. It inspired us to create a line that was for serious yogis, who wanted to wear clothes that resonated with their core philosophy and is great for their practice. For me, growing up in India, yoga was more of a spiritual practice, of which physical exercise is just one of the essential elements. So it seemed natural that an Indian company should be the one to give yoga wear a purist makeover. Proyog is the first contemporary-classic yoga wear. It has taken designs from ancient India and recreated them using today’s technology to make them relevant to our modern lifestyle. CF: There are many other organic brands on the market so what makes Proyog different? Malika Baruah: There are two things that differentiate us: the fabric and the designs. Our fabrics are designed for maximum breathability. The core-spun technology we use, ensures that no plastic touches the skin. Core-spun has other benefits—it has a greater stretch, recovery, and strength which makes it a far more stable fabric than the cotton spandex used by other brands. Our designs are inspired from styles worn for yoga traditionally. The Chandra dhoti, is an amazing garment for yoga; it is the first of its kind. Any serious yoga practitioner trying our products, will clearly know the difference between Proyog and any other yoga wear in the world. CF: What is the vision of Proyog? Malika Baruah: Proyog’s vision is to make yoga plastic free. We want to be the preferred brand of yoga wear amongst those who are truly serious about the practice of yoga. Proyog yoga wear stays true to yoga, where synthetics never touch the skin and garments never compress the body. The yoga world needs to become aware, that they are essentially wearing clothes made of plastic for yoga. They should be wearing naturally breathable fabrics to enhance their practice. We sincerely believe plastic-based fabrics are antiethical to yoga. For example, San Francisco banned PET bottles, but thousands of yoga practitioners there are wearing PET fabrics for yoga. CF: Where are you now in the business? How did you make it happen? Malika Baruah: While we started work on Proyog in 2013, the brand was officially launched on June 21, 2015, which coincided with World Yoga Day. Currently, we’ve made the brand available online to most of the world. We are now gradually expanding to offline presence in North America. We are not planning to open stores just yet. We are looking at distribution through yoga studios and large chains like Neiman Marcus, Nordstrom, and Saks etc. We are also in the process of appointing distributors in different parts of the world. We have approximately 40 people currently in India. We are planning to start our US operations after the New Year. When we started the company, co-founder Dave Banerjee funded the initial development of design and prototypes. In March of this year, we got funded by Naresh Malhotra of Resourceful Capital and Ajay Malhotra of VAMM Ventures. 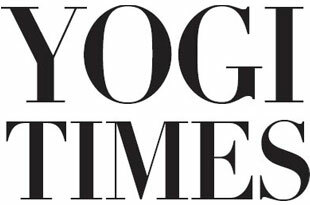 Visit the YOGI TIMES BOUTIQUE to discover curated, artful and ethical brands that enhance your lifestyle.